Aims: Is to evaluate the difference between the level of serum cholesterol and triglyceride in septic and non-septic patients and to find a correlation between the level of cholesterol and triglyceride and Acute Physiology and Chronic Health Evaluation Score and quick Sequential Organ Failure Assessment score. Materials and Methods: 95 patients admitted to the SICU, septic patients (group S, n=50) or non-septic patients (NS, n=45). 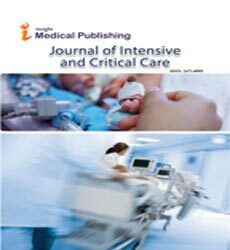 Main outcome measures: length of ICU stay, 28-day mortality, days on mechanical ventilation, (APACHE II) scores, (qSOFA) scores, serum cholesterol, and triglyceride on days 0 and on 1st, 3rd, 7th,10th and 14th day. Day 0: It was statistically significant lower in septic group (S) compared to the non-septic group (NS); it was 119.4 ± 29.33 versus 131.2 ± 35.37 (p value=0.037). Day 1: It was statistically significantly lower in the septic group (S): 103.6 ± 29.19 than the non-septic group (NS):123.56 ± 36.50 (p value ÃÂ0.001). Day 3: It was statistically significantly lower in the septic group (S) 80.7 ± 26.87 than in the non-septic group (NS) 124.84 ± 32.4 (p value <0.001). Day 1: Was statistically significantly higher in the septic group (S): 151.5 ± 54.79, than the non-septic group (NS): 112.14 ± 33.02, (p value <0.001). Day 3: It was statistically significant higher in the septic group (S):185.1 ± 43.1 than the non-septic group (NS): 113.5 ± 39.56), (p value <0.001). Conclusion: Cholesterol levels decreased markedly and triglyceride levels increased in patients with sepsis compared to non-septic patients, in the septic patients there was increasing in length of ICU stay, higher qSOFA, and APACHE II scores.